Valmiki is an upcoming Telugu Movie, written and directed by Harish Shankar S. Jointly Produced by Ram Achanta and Gopi Achanta under the Banner 14 Reels Plus. 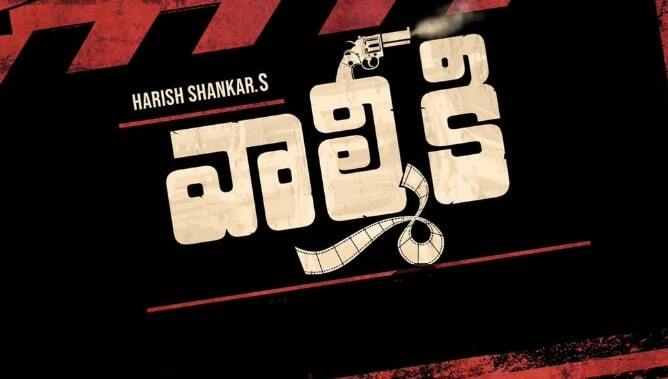 It is the Official Telugu remake of Tamil Movie Jigarthanda. Valmiki Telugu Movie 2019 Features Atharvaa and Varun Tej in the lead roles and Mirnalini Ravi in the female lead role. Music director Devi Sri Prasad has composed music for this movie. Ayananka Bose Handles the Cinematography and Chota K Prasad is the Editor of the movie.